We all have a street that we would like to show the world. This is why I believe that street photography is one of the most sought after photography genres. Few people pick up a camera dreaming of shooting headshots or macro photography. People pick up a camera and dream of landscapes that catch your breath, travel photography that shows you the world and street photography that conveys a little about the human condition. While there are plenty of people who succeed in capturing amazing landscapes and thought provoking travel photographs, few ever capture a good street shot. It takes a unique set of talents for a photographer to succeed on the street. Helen Levitt was one of the greatest. Not only did she capture street life so poetically, she also did it in the greatest of cities, New York City. 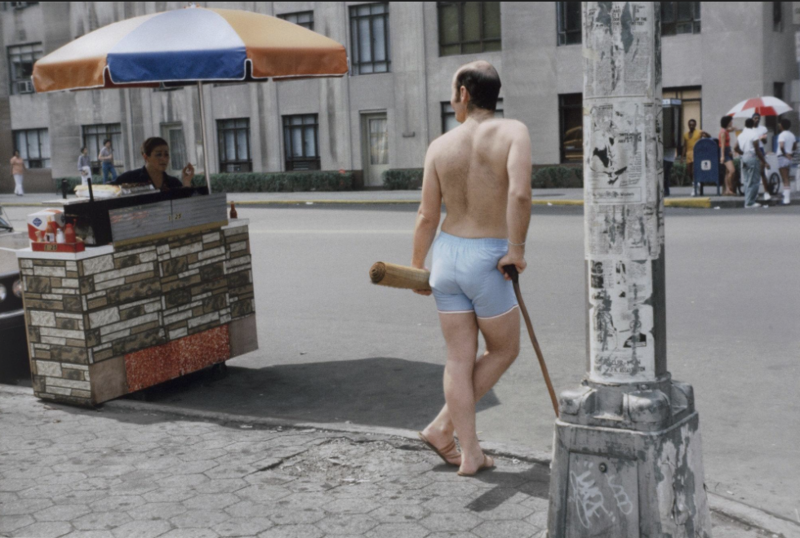 She shot Spanish Harlem and the Lower East Side before these places became iconic. She walked among the people and captured their life on the streets. She was friends with the likes of Henri Cartier-Bresson but, while influenced by him, she had her own style. She was another masterful product of the Photo League of New York, a group that produced more masters of art than any other school past or present. Helen shot in both B&W and color. She used a Leica 35mm camera to be as quick as HCB. She shot powerful B&W but was an early adopter of color. Her B&W images are pure art, and offer more than what is given at first glance. Her B&W take a step closer to the viewer, they are less artistic masterpieces and are more about everyday life. I keep going back to both and love them. In the digital world flipping between B&W and color is easy to do, but Helen had to pick her poison and stick with it. Her style is similar in both B&W and color and there is something that puzzled me about her photography but was recently explained. Street photography is difficult because it requires you to photograph strangers in a public place. They do not know you, they do not understand what you are doing and hence their attitude changes because they see you. If you are lucky you can snap an image quickly before they realize what is going on, and with it grab an honest gesture or expression. Most of the time the subject looks directly at their lens, their daily life interrupted by your photograph. 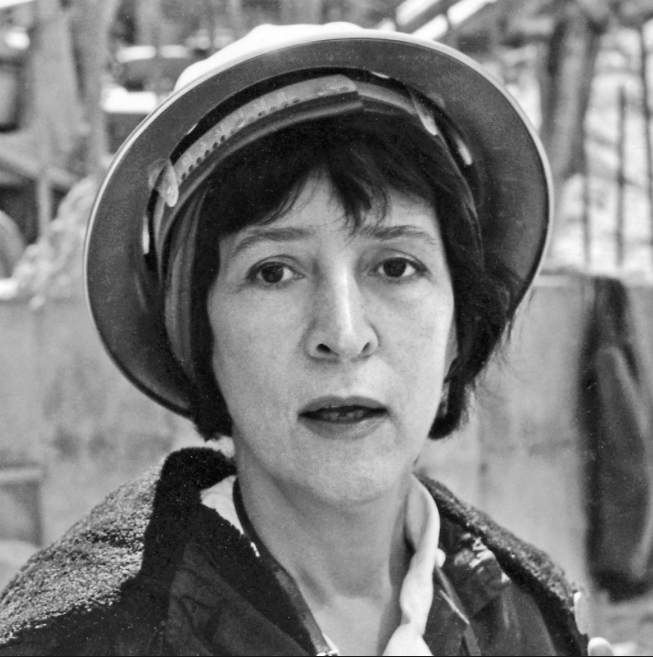 Helen Levitt managed to capture a great deal of honest emotion and rarely did she seem to interrupt a scene. Looking through her photographs is like being invisible. Seeing everyone's life while they cannot see you. Indeed they look through you. How could a photographer manage that? Is it because she photographed in a more innocent time, or was it that she was a woman and people were less intimidated by a woman? The image to the right shows five people, any one of which would be a wonderful street portrait in its own right. But here Helen has captured five perfect portraits on the street in a single image. Not one of those people see her. None of them are looking at her. They are continuing with their conversation, meditation and waiting as if Helen were invisible to them. And what a masterful image that she brought us. 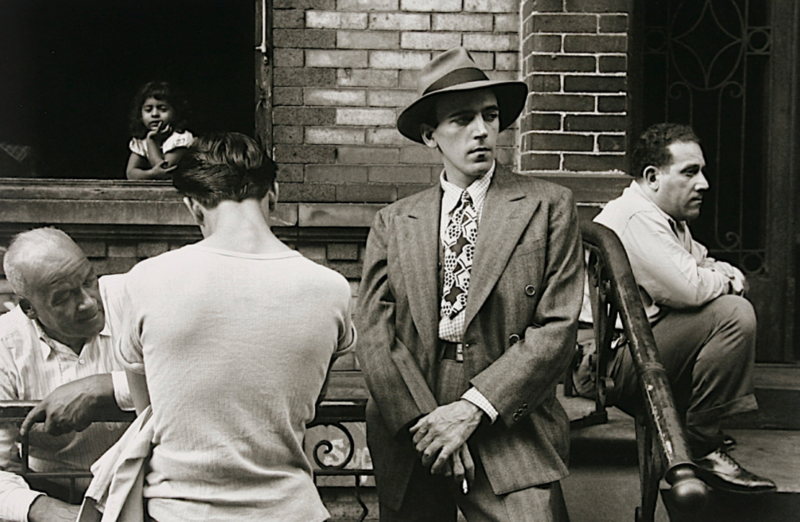 The dress of the man with the hat, his hand gesture with the cigarette, the young girl in the window holding her head up with her fingers in such a dramatic pose the deep conversation of the two men on the left and finally the look of a man waiting on the right. 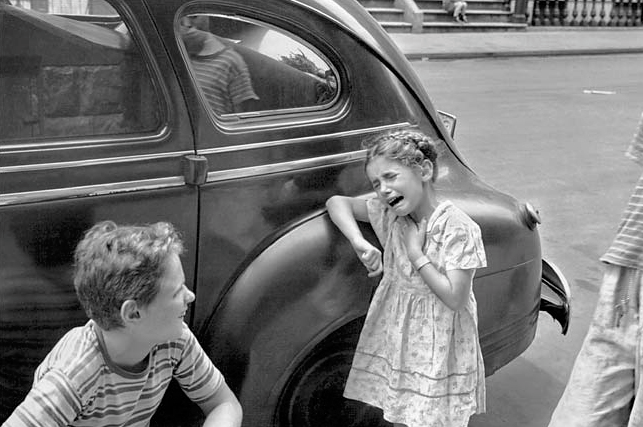 Kids, leaning on a car, one crying as if hurt, the boy laughing and another standing to the right, reflection visible in the car window. None of them see Helen. She jumped into this instant of their lives, captured a image and walked away without being seen. Even HCB work has people reacting to his presence. He used it to his advantage but every time he did it was not a true street scene. It is a scene of a street reacting to a photographer. How could Helen capture these intimate images without being seen? Was this raw talent or did she have a special trick I was not seeing? 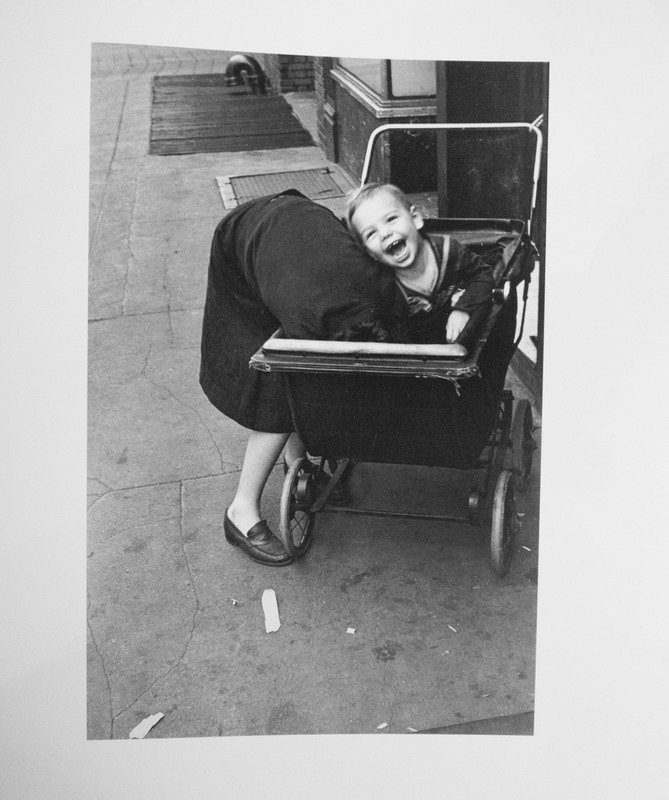 Then one day I was watching a YouTube channel of a talk on Helen Levitt and her work. The speaker knew her and had visited with her while working on her images. He tells us that she had a right angle viewfinder, used to capture those intimate shots. After a bit of digging I realized that what she had was a trick lens that allowed her to be standing facing something that was 90 degrees opposite of what she was actually shooting. This little tool allowed her to be the fly on the wall. These days such a tool, if discovered, would be viewed under a very different light, but it does explain how she managed it. She said that she never went out on the street with a project in mind, she just followed her eye. That relaxed, 'lets see what happens' feeling really comes through with her photography. 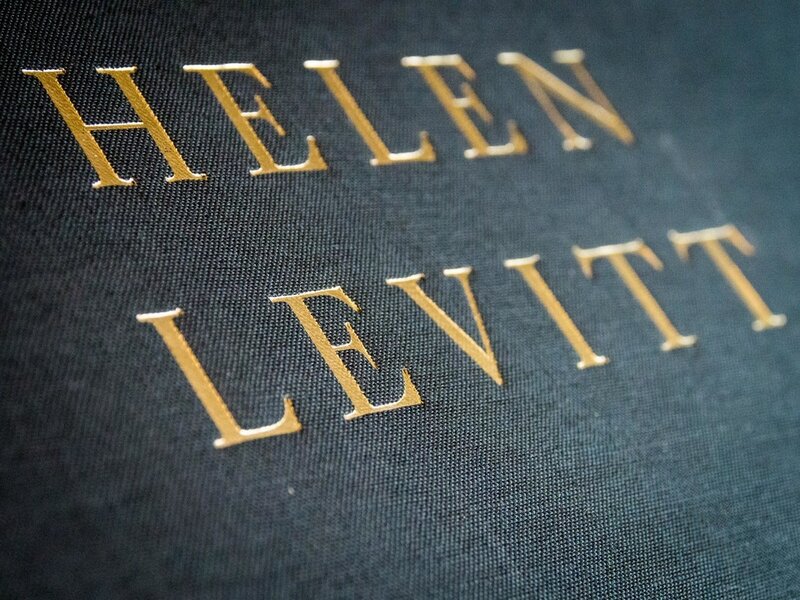 The book title Helen Levitt was first published in 2008 by Powerhouse Books. The book is a simple deep green cover with the title in gold. It is a large, coffee table size book. The print quality is amazing and it covers her work from 1937 through 1991 both color and B&W. I love the images selected, as they carry a great deal of her iconic works, but most importantly, the images selected show you everything there is to admire about her work. It is a book that really covers her brilliance and leaves little unsaid. Which brings me to another point, there are very few words in this book. There is a short passage by Walker Evans, a friend of Helen's and then her photos do all the talking. The book puts one image per page, allowing you to view it in a large format. There is something so powerful about holding an image in a large size, giving yourself the time to see the details. Some are fun, others are thought provoking and yet others are intelligent. Some show amazing composition while others are so powerful you do not notice their composition at all. If you are a fan of the masters, I do not believe it is possible to skip over Helen. Her body of work is an amazing reference of the human condition at that time. This book is a fantastic addition to any photography library. Eric Kim did a great job of boiling down Helen's street photography philosophy and pulling away lessons to be learned. I believe he did it much better than I ever could so if you are interested have a read HERE.